If compared to the olden times when kitchens used to be simple spaces at the back of a house wherein food was cooked and utensils were washed, kitchens today have a different role and form altogether. They are the focal points in modern homes and spaces where families come together to sit and enjoy their meals. To make kitchens more comfortable, functional and aesthetically appealing, people remodel their kitchens. 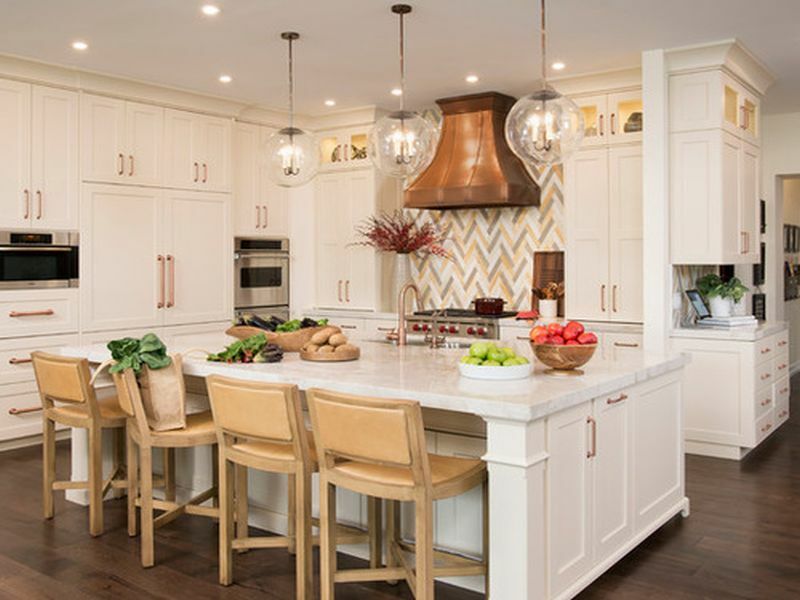 If you also have a kitchen-remodeling plan in mind, you can take into consideration the following kitchen trends that are going to be the top kitchen trends in 2017. 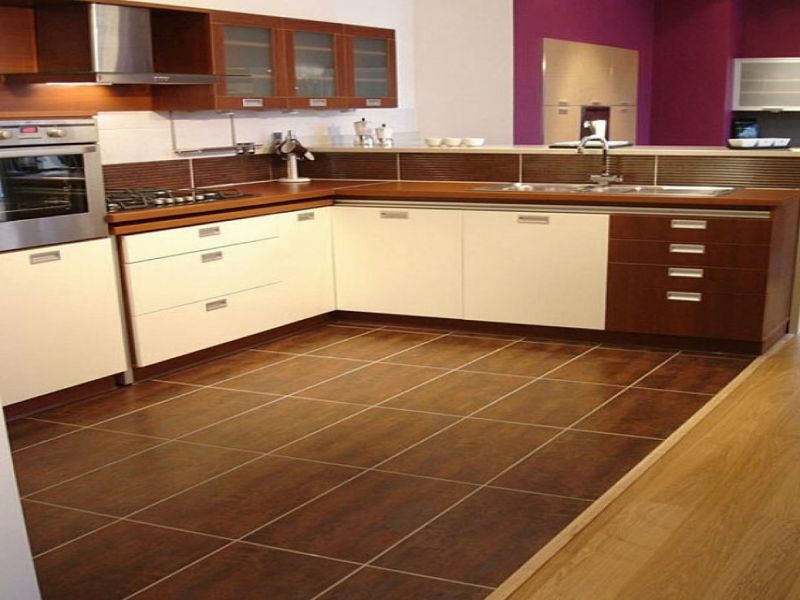 Without any doubt, hardwood flooring for kitchens is still a sought after option but ceramic flooring has started to get more attention. The reason behind is the technological advancement due to which ceramic tiles today are available in a plethora of designs, sizes, and styles. If you are in love with the feel and appearance of hardwood flooring, you can go for a ceramic tile range that resembles hardwood flooring. They look equally gorgeous like hardwood flooring but are easier to maintain. Coming to size, you get wide plank ceramic tiles that actually look like hardwood planks, or you could get the tiles cut to sizes you require to create custom kitchen flooring theme. Fancy gadgets and appliances do not only define smart kitchens but they are spaces wherein every function has technology integrated into it. 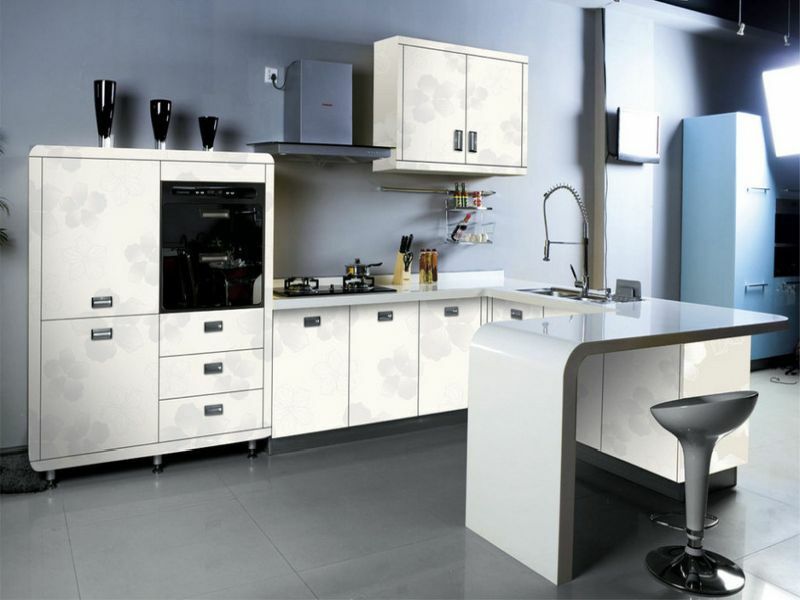 It is a modern concept that is being incorporated in kitchens right from the start. However, for the old kitchens, smart sensors, gadgets, and other devices can be added. To add convenience to your everyday work in the kitchen and to save water, you can install sensor-equipped faucets that turn on automatically sensing the presence of hands underneath. A smart refrigerator can alert you regarding grocery items that are about to finish, an egg monitoring device lets you know which eggs you should be consuming soon to prevent wastage and much more. It seems stainless steel and black colored kitchen cabinet handles, appliances and accessories have had their time. Now, it is the tie for copper accents. It seems to be a great shift, as the copper handles are great alternatives to stainless steel cabinet handles. Despite having modular kitchens with a number of storage cabinets, some people complain about wastage of space and the inability to store all things required. The reason behind is the cabinet structure, which fails to accommodate all the required kitchen items. 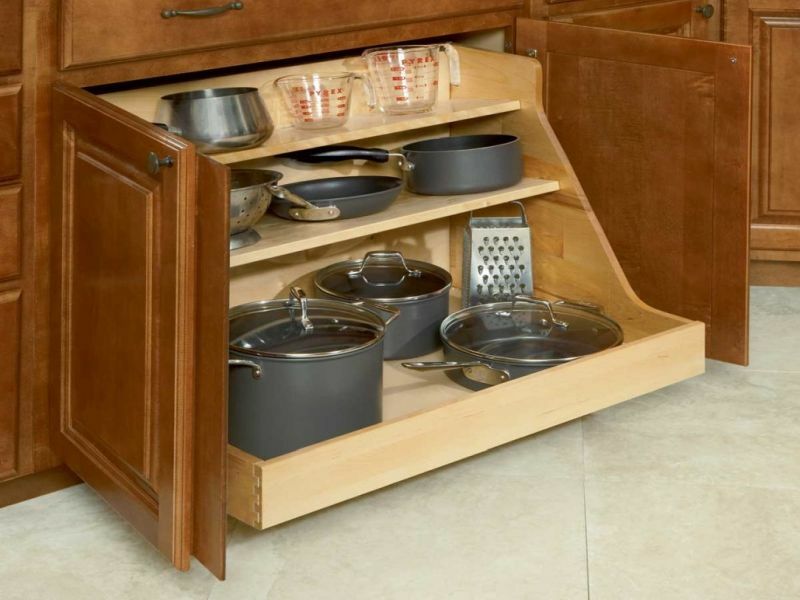 This is when the need for storage effective cabinetry arises, which is a recent trend as well. Enhancing the functionality of kitchens, these cabinets come with drawer dividers for cutlery and utensils, tray dividers, rollout trays, pullouts for spices and caddies for pot and pans. They also come with wastebasket cabinets and wicker baskets, which help to store foods, drinks and small appliances conveniently. 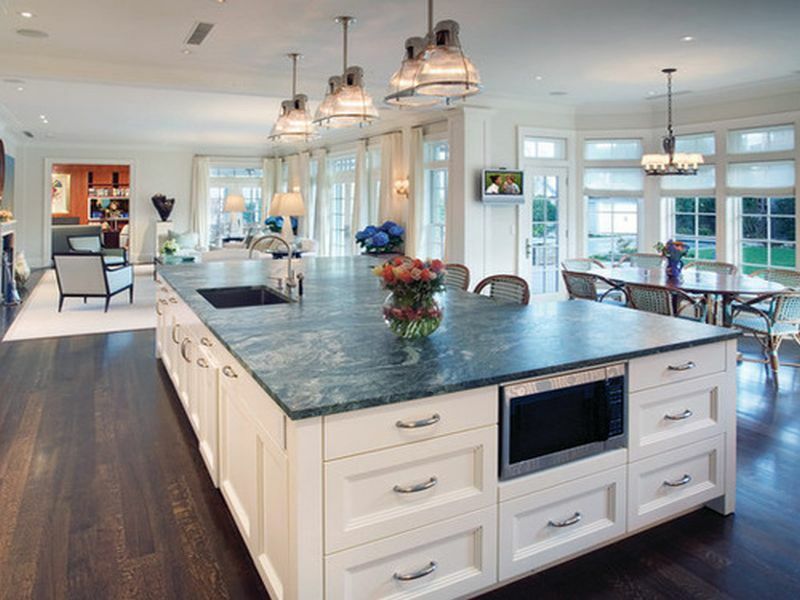 As per the newest kitchen trend, kitchen islands are no longer small and arrow. They are big now and serve as one of the focal points in the kitchen. Their purpose is no more restricted to food preparation and their design is changing to create an impact and to make a statement. Besides serving as a dining or drinking bar, the large kitchen islands with storage units and with various cooking appliances fitted will serve many other purposes as well. Modern kitchens are very different from traditional kitchens in both functionality and appearance. With each passing year, due to innovations and technological advancements, new kitchen trends capable of improving kitchens keep surfacing.